The development of the vineyard commenced with determining the logistics of our source of water. We eventually settled on a state of the art well and pump system that provides our ranch with a capacity of 400 gallons of water per minute. This system give us several options when fertilizing through irrigation and also provides a frost protection system which is mandatory in our micro-climate. While our pump system allows for high capacity, we are constantly cognizant of our water usage so as to remain conscientious of the water conditions in our state. After determining our water provisions, we spent a considerable effort to ensure that our new vineyard would have an adequate drainage system in the areas where offset would be damaging. After over a decade of harvesting, we know that our planning and infrastructure for water and drainage has withstood the test of time. The third crucial element for vineyard planning was the alignment of our vineyard rows to allow for proper exposure to the natural elements. With a sloping vineyard we had to implement tight row spacing while also considering logistical elements like access for machinery and maintenance equipment. The first determinant for selecting rootstock is understanding the soil. We engaged professional consultants to conduct laboratory work which yielded a recommendation for us to match our clones with rootstock number 101-14. We proceeded forward by grafting our selected clones as ‘green growers’ in a nursery setting for six months before planting. After interviewing the top pinot noir winemakers in the Russian River Valley and discussing the various pros and cons of the varying clones, we chose to use four French clones: 3 Dijon clones and a Pommard. The Dijon clones that we chose were 667, 777, and 115 and the fourth clone we chose was Pommard 5. In our first planting in 2000 we planted 7850 vines of the 667 clone, 6550 vines of the 777 clone, 4050 of the 115 clone, and 1000 vines of Pommard 5. In 2005 we planted another 4000 vines of the Pommard 5 to make 5000 vines of that series. The additional planting of the Pommard 5 vines gives us more clonal equality which will be helpful in the clonal blending process. We have over 25,000 total vines planted of the Pinot Noir variety. 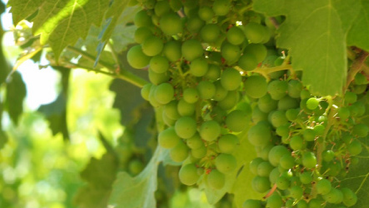 Oakwild Ranch is a 25 acre parcel with almost 20 acres of planted vineyard. Our trellising is a vertical system and our spacing is known as 6 x 5, or six feet between rows and five feet between each vine. 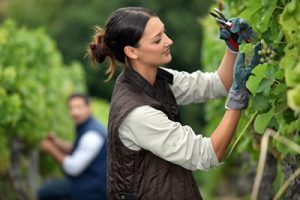 This spacing makes farming a little tricky and labor intensive but it is based on modern farming techniques for pinot noir where tighter spacing and more pruning has proven to produce fruit with the complex flavors and intensity that wine makers desire. The cover crop is a vital process for any young vineyard. Originally at Oakwild Ranch we planted a legume mix of mustard and clover seeds to protect the infancy of the vineyard by providing the necessary nitrogen and nutrients to the young plants. Presently we use a cover crop mix of perennial grasses which inhibits erosion and therefore maintains the richness of the nutrients and the minerals in the soil. Our soil is a loamy clay with some mineral and gravel composites. Oakwild Ranch vineyard is located in the heart of the Russian River Valley – just a stone’s throw from Olivet Lane and River Road . We have a morning fog that rises from the river to the west and cools the vines. This morning fog coupled with sunny and breezy afternoons lends to a growing environment that manifest deliciously complex fruit.